It is nice to keep life simple and it is even better to make a difference in other people’s life. 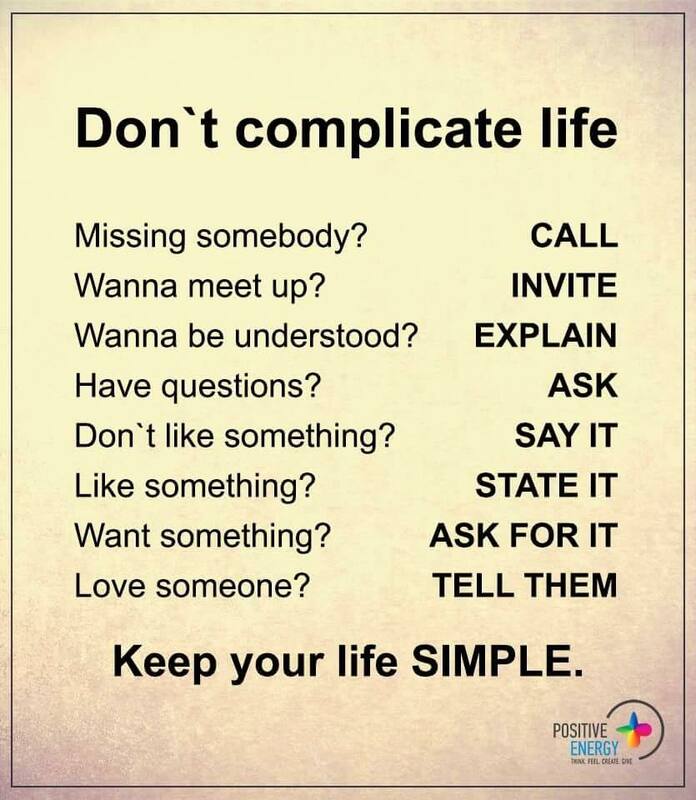 I suggest you take this simple list to heart. When I moved to Canada I found it very interesting that everyone seemed to ask “How are you?” but nobody wanted to know. Bummer. To be honest, I actually found it pretty rude that people kept asking this question but didn’t even stop to wait for a response. At my early stages in this country I had absolutely no idea that “How are you?” was simply a phrase that is part of the greeting. Does it really have to be that way? What would it take to be interested in what the other person has to say? Do you think it would help us to connect better with others? I have started to teach this in my workshops and you would be surprised how many people stop when they see me now and truly connect with me while asking how I am. Really awesome – for me and for them. I think we all need that person whom we can tell the truth about how we really feel, especially since mental health is too often in the headlines. I have heard mental health diseases have been referred to as “the cost of not caring”. There are many superficial people in this world. As for me, I don’t want to be one of them. The status quo is only a roadblock that is waiting to be conquered. If you see the opportunity to challenge how we do things, go for it. I promise that I will do the same.